Here to a Pablo update in my blog, today I will share you my top 3 favorite mini cheese tart from Pablo Malaysia. 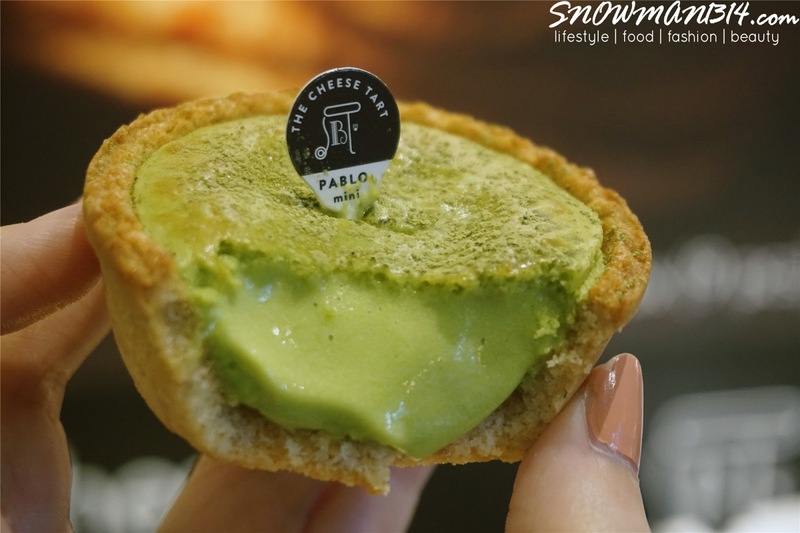 When I first know that mini cheese tart is finally here at Pablo Malaysia, I was really excited and looking forward to it. 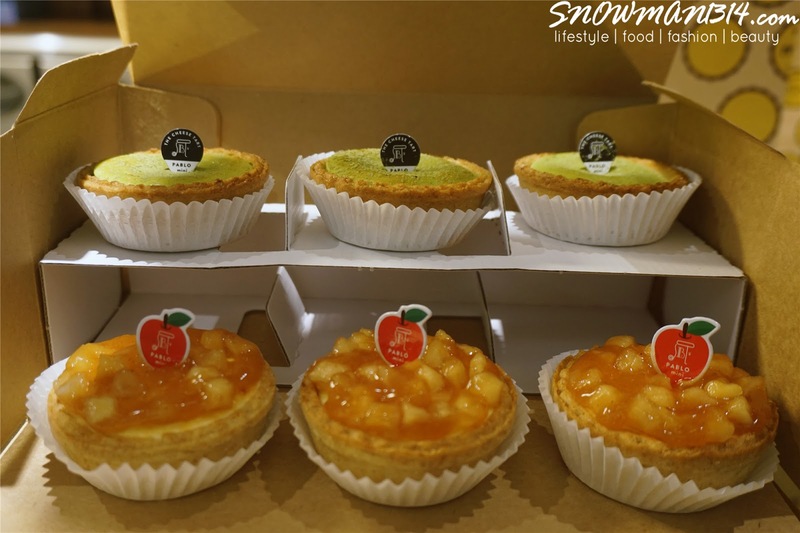 Since their original cheese tart launch, I've been a huge fan of their cheese tart. 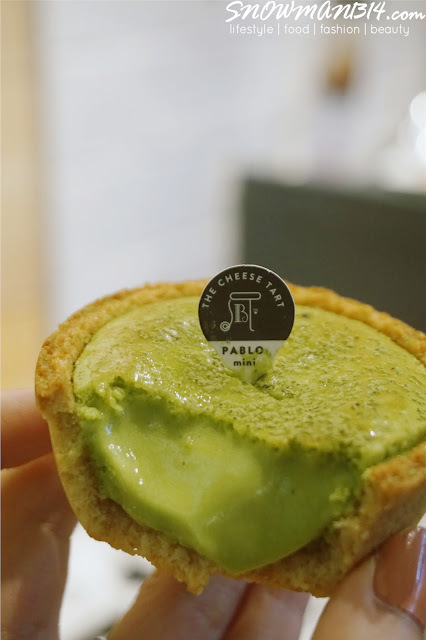 I know that Pablo cheese tart is not the cheesy cheese tart ever, but I love that it was really light and give the right amount of cheesiness I need. 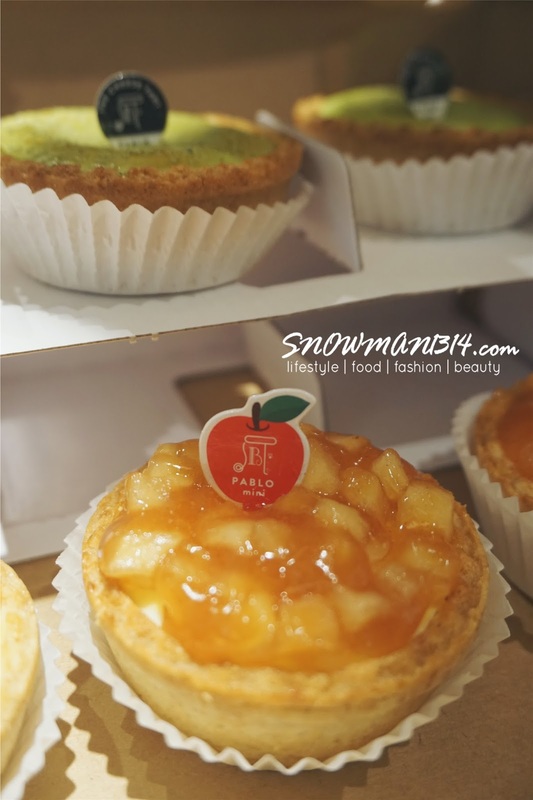 Let's jump into to see which are my top 3 mini Pablo Cheese-tart I like! 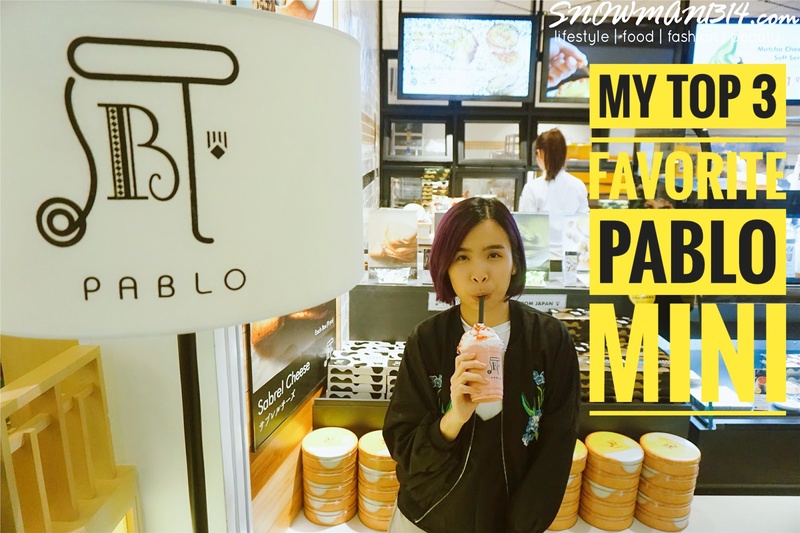 I got to try their Pablo Mini Cinnapple, Pablo Mini Matcha, and Pablo Mini Roasted Strawberry Marshmallows. 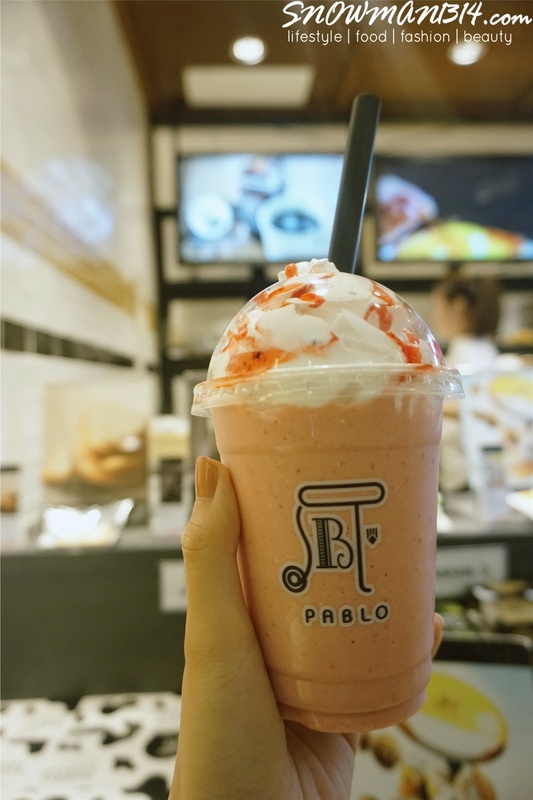 3 of them have their own special flavor and I believe that you also have your own liking from 3 of this Pablo Mini. Pablo is going to launch more and new Pablo mini such as Chocolate flavor and Pablo Mini Aromatic Matcha Flavor too! 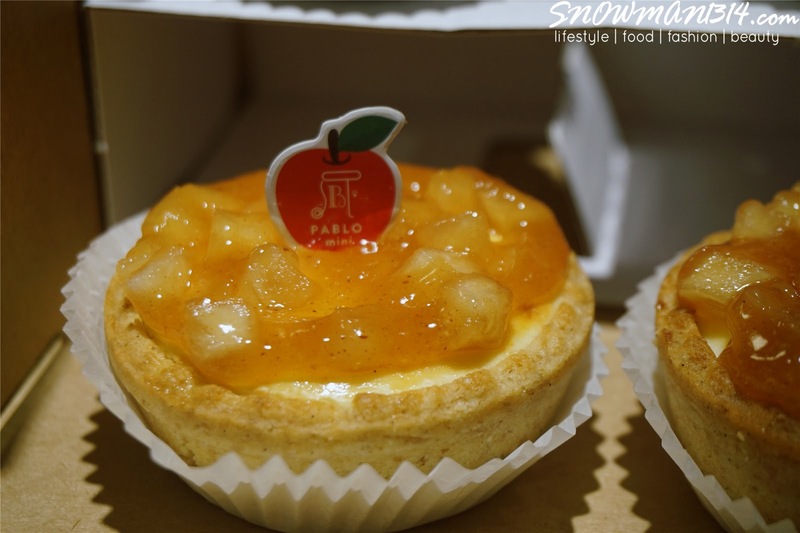 Start with my number 3 favorite is this Pablo Mini Cinnapple, the flavor of the topping are a bit heavier, more onto sour and sweet combination. 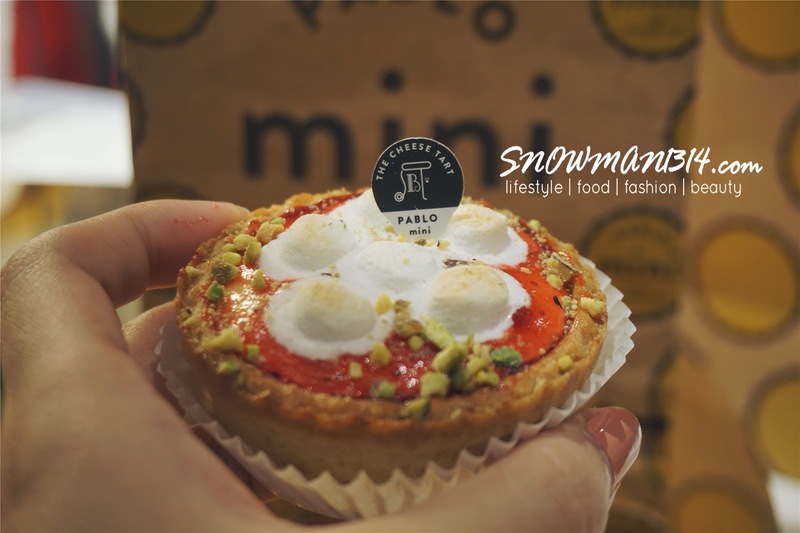 I am not the type of persons who likes to eat heavy taste of the topping, I prefer to taste the balance taste or plain taste of a Pablo Mini. 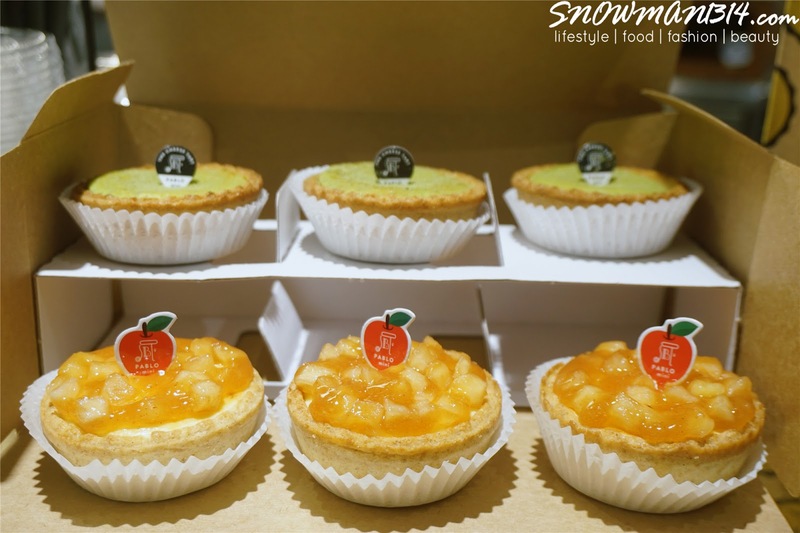 Gives it a try if you wanted to try out something sour and sweet savory of a cheese-tart! 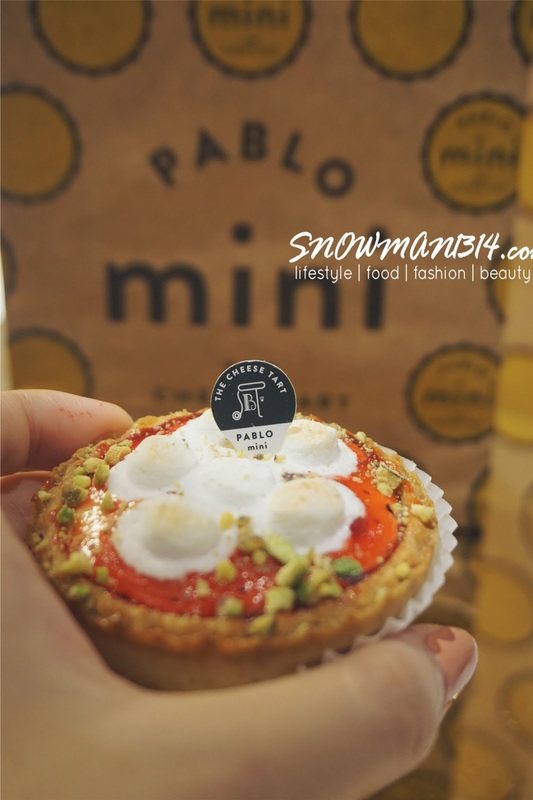 My second favorite of the Mini Pablo is this Pablo Mini Roasted Strawberry Marshmallows!! The sweetness of the strawberry are pretty light than I expect, which I really like it. 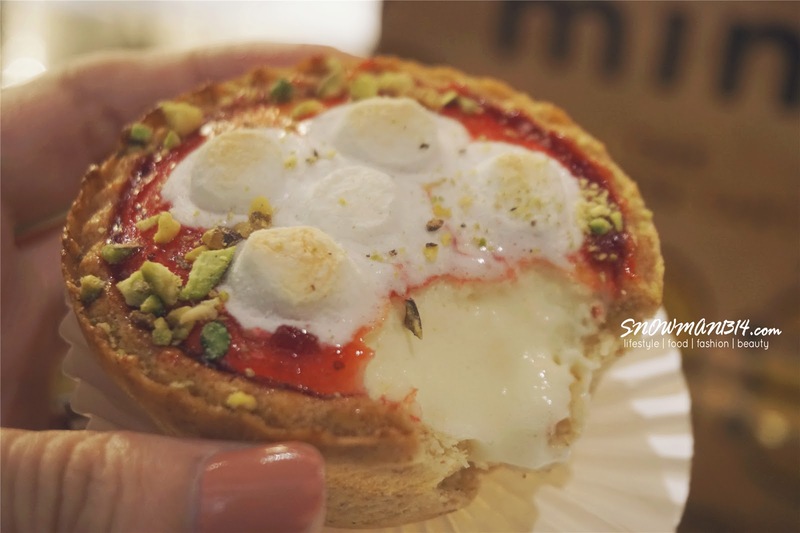 Gives it a sweet taste of strawberries and marshmallows, which the combination are not too overpowering the cheese-tart at all. 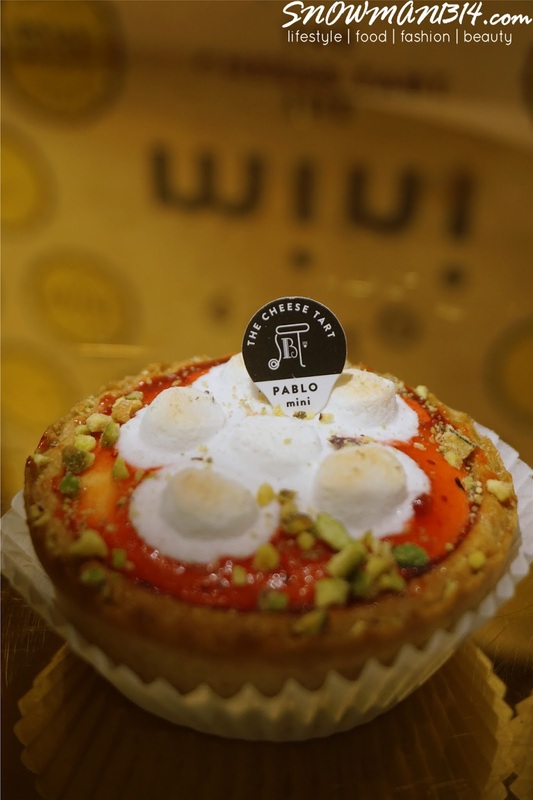 Love the melting of the cheese tart while you enjoying these mini Pablo. My Top Favorite was definitely the Pablo Mini Matcha flavor!! 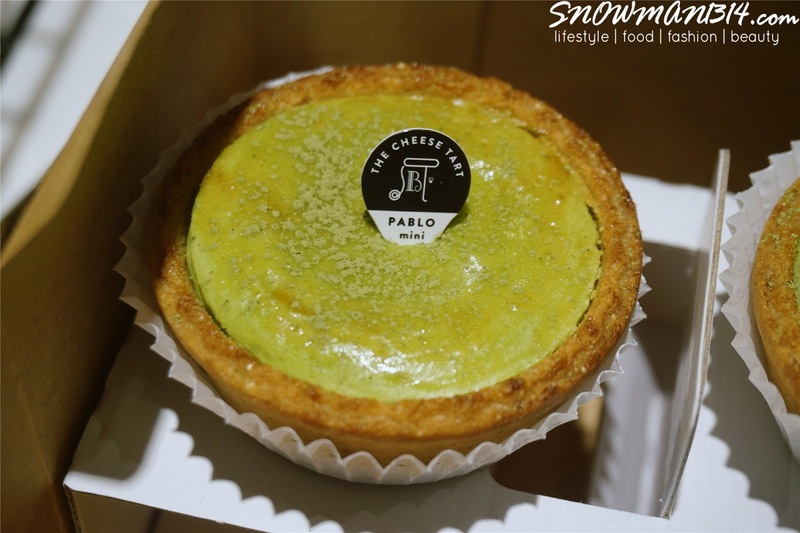 I admit it is not fair since I am a Matcha lover, however I like it that Pablo mini matcha is not too heavy or having too strong of matcha taste at all. Love the matcha cheese overflowing my mouth when I eat it. 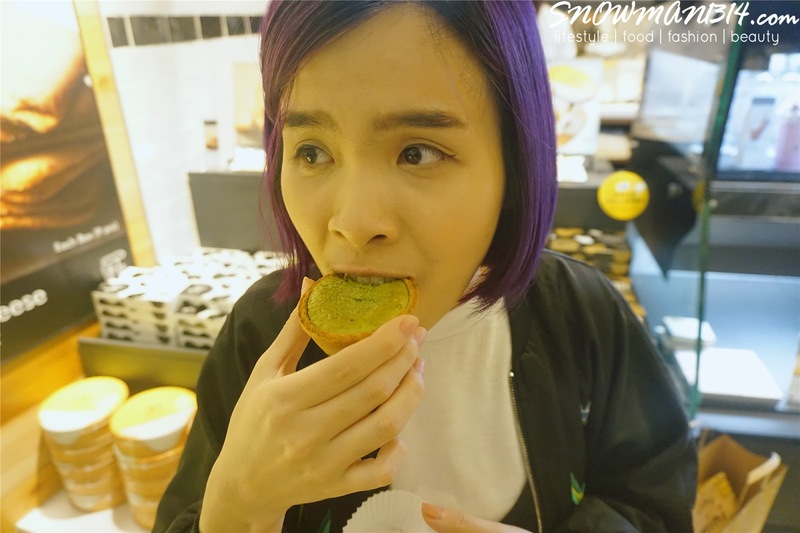 If you saying the original taste was over rich and make you feel jelak while you eat it, try out this flavor to actually gives you the fragrance of matcha and cheese melts inside your mouth! Let's enjoy and watch how the cheese tarts actually melts. 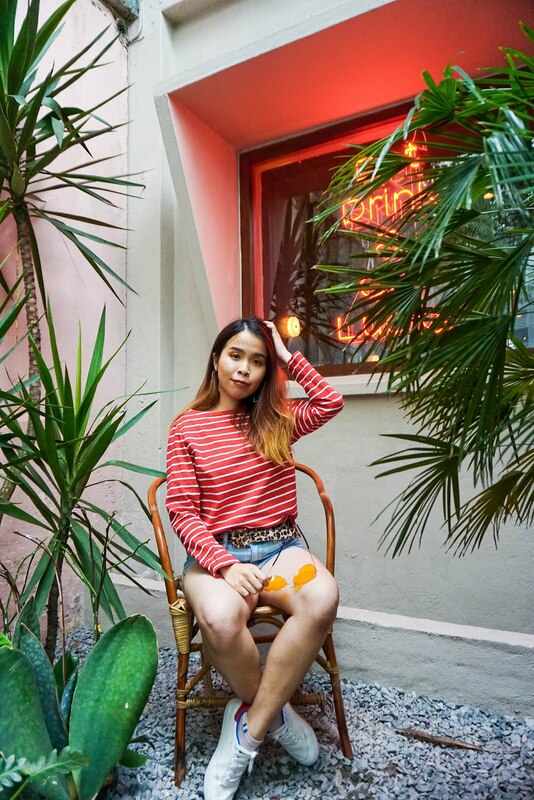 A little shout out to Pulpy Strawberry Cheese Frute too! 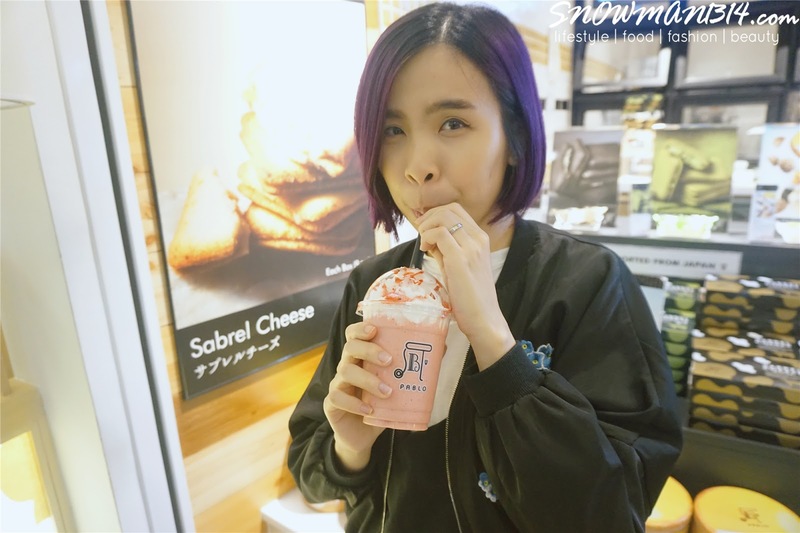 I really love their strawberry series which are not too sweet than I expected. 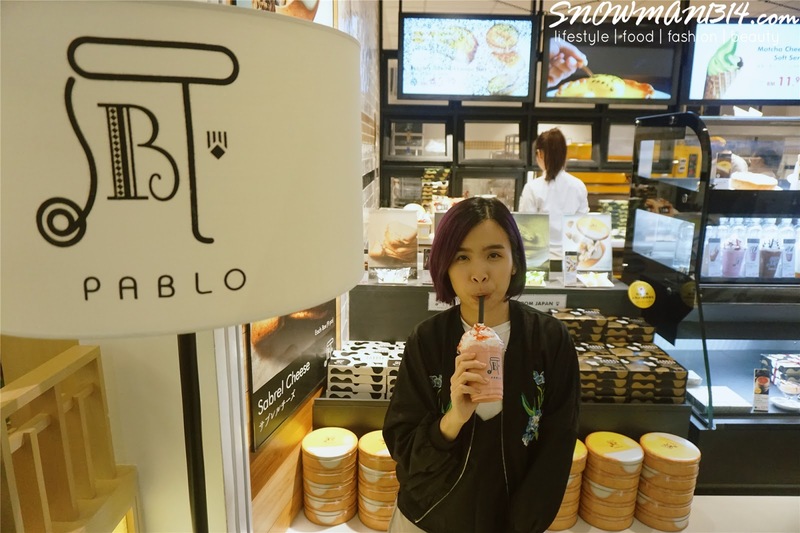 It gives a really nice and balance taste of strawberries and cheese! Slurp and there it goes again! That's all for my shout out and my top 3 favorite Pablo Mini Cheese Tart! 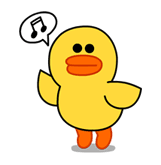 Drop down a comment below and let me know which is your favorite.